It was almost mandatory that after the Easter sugar and chocolate overload I should come back with a healthy and quick recipe (those Banoffee Tarts weren't the quickest to prepare but oh so luscious!). 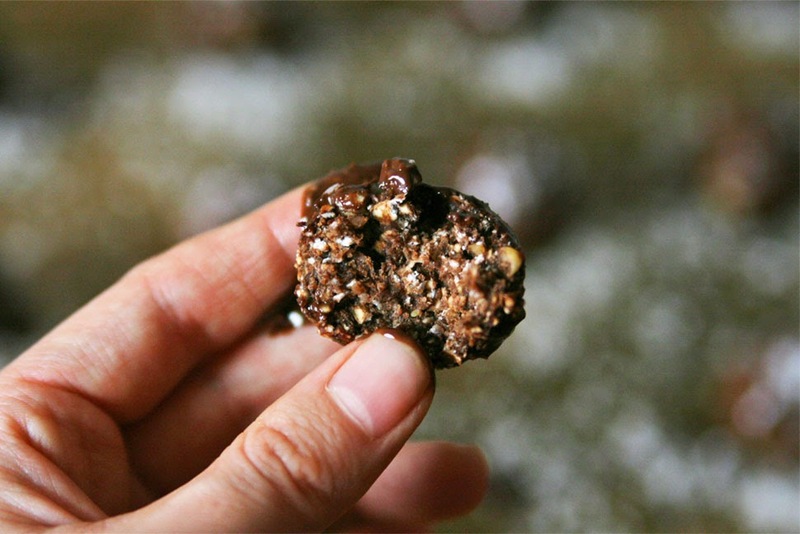 I made these oat bites a few weeks ago when I was craving something chocolaty and different to snack on but it was so miserably rainy and dark outside that I didn't feel to go grocery shopping. But I had the itch to bake something and relax at home so what could I do with that lonely ripe banana and some lefovers that were laying around in the kitchen? 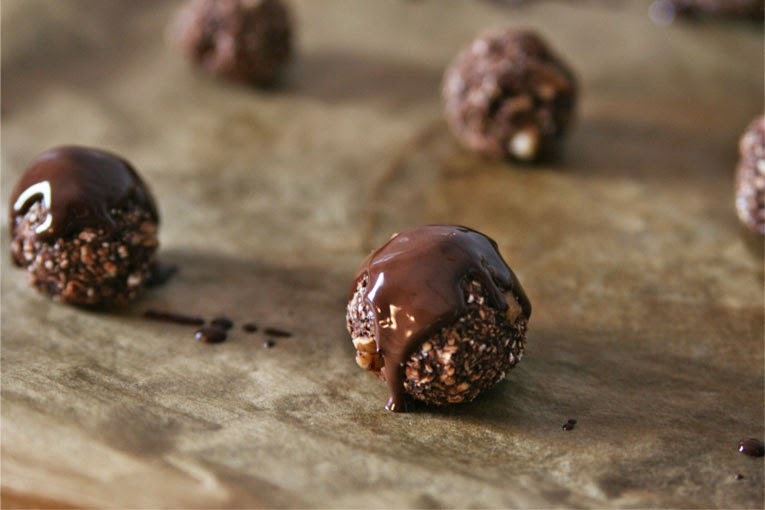 Healthy Cocoa Banana Oat Bites coated in dark chocolate and sprinkled with shredded coconut. 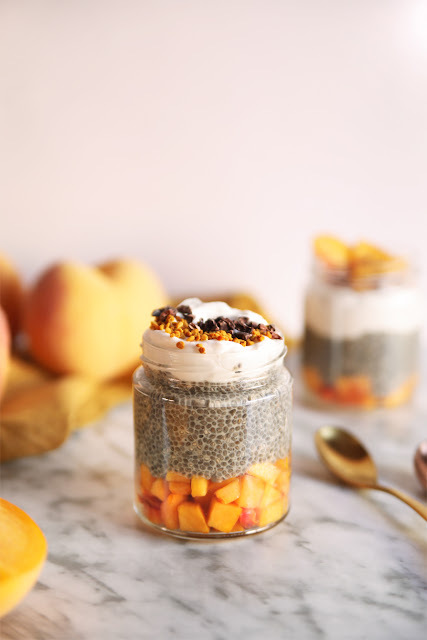 These are ridiculously easy to make, quick and healthy. Great to boost your energy after a workout session or as a snack between meals. 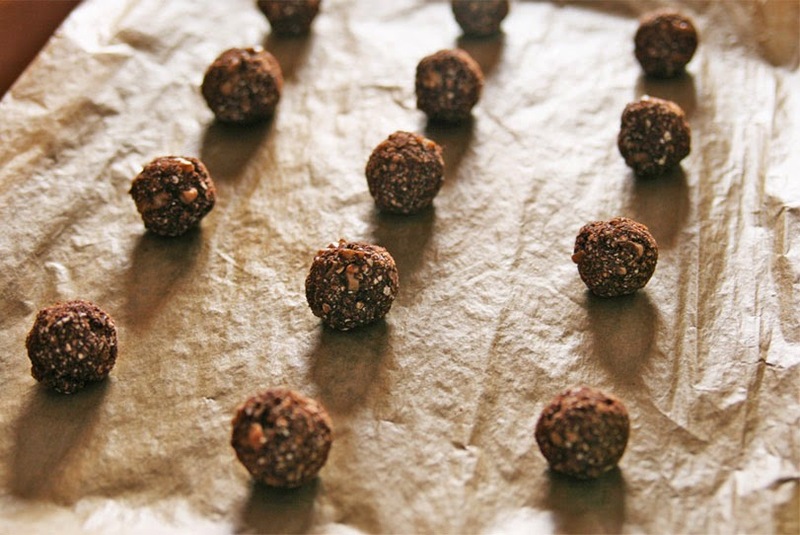 It's a recipe that admits a lot of variations and you can add your favorite nuts, some dried fruits, chocolate chips, etc...whatever you desire! 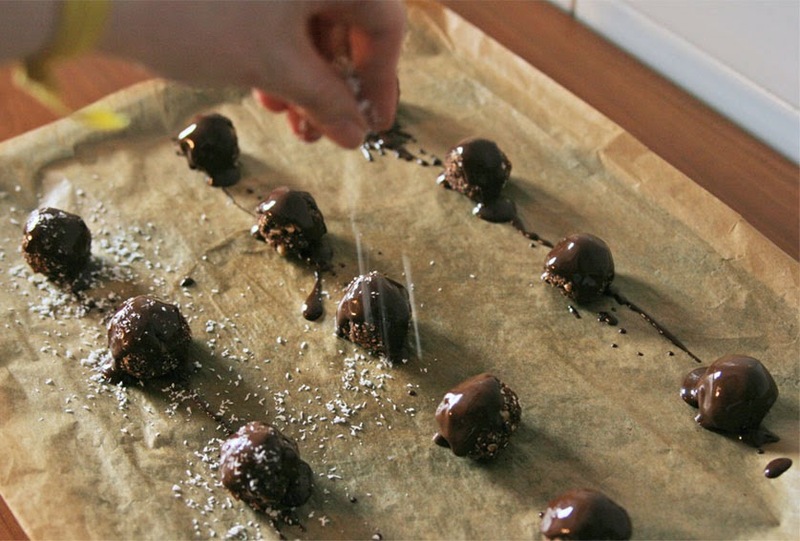 As long as you keep the same amount of oat, banana and maple syrup so you can easily form balls and they don't become too dry or crackled. 1 tbsp pure cocoa powder. a generous drizzle of maple syrup. dark chocolate for coating (optional). In a small mixing bowl slice the banana and mash it with a fork. Add in the oat, cocoa powder, maple syrup and nuts, mix until well combined. Spoon dough and form small balls with your hands, or if you prefer you can flatten them out to give them a more cookie-like shape. Bake in oven for 15-20 minutes approximately or until the tops begin to brown a little. 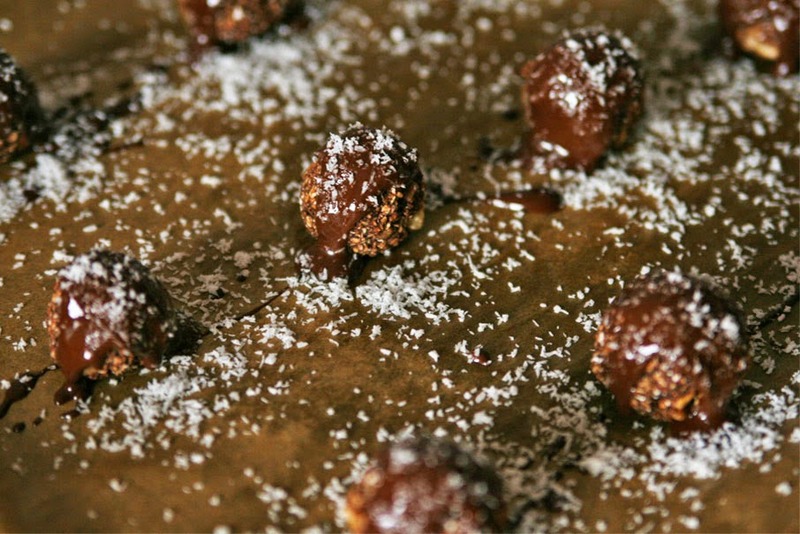 Remove from oven and cover in melted dark chocolate. Sprinkle with shredded coconut and let cool a few minutes before eating. Quina bona pinta tenen aquestes boletes Gemma! Petites mossegades que segur són una delícia! I si són tan fàcils de fer com dius, potser els haurem de provar, no? Moltes gràcies com sempre pel teu comentari, sempre ets dels primers! Jeje.